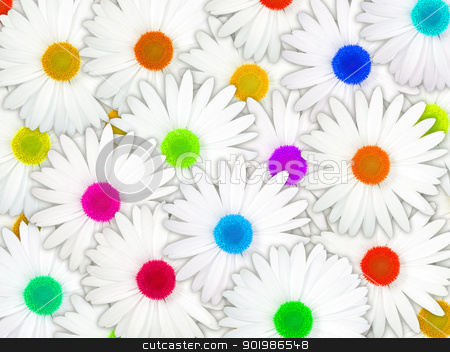 Abstract background of white flowers with motley center for your design. Close-up. Studio photography.